Mas Cristine – Straight from the Horse’s Mouth! 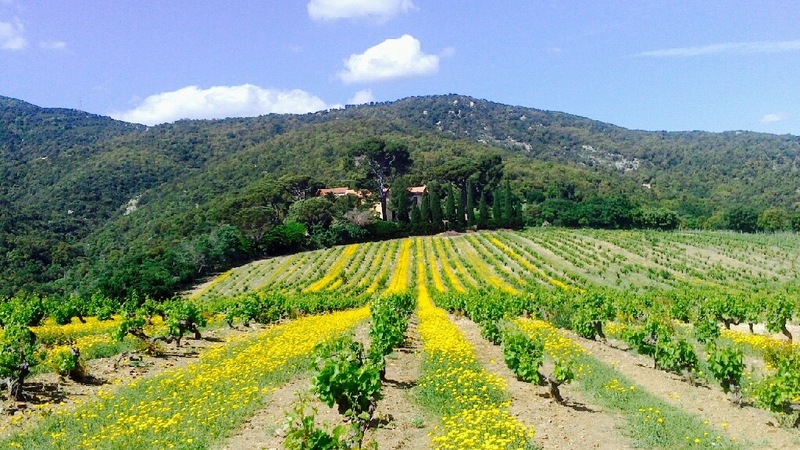 Tucked away off the Saint André roundabout between Le Boulou and Argelès, lies Mas Cristine. If you’re looking for ancient chateaux and wine soaked oaken tasting tables, Mas Cristine isn’t for you. This winery is modern, airy, spacious and clean, with temperature controlled warehouse and cutting edge wine making equipment. But it does have a history! Léon Cristine was the mayor of Collioure from 1919 to 1935. A well-heeled chap, as village mayors tend to be, his estate on his death consisted of half the houses of Collioure…and the rather dilapidated Mas Cristine and winery, established in 1810, in the hills above Collioure. The estate was split down the middle and one ‘héritier’ received the houses whilst the other received the Mas. I know which half I’d have put my name down for! Sooooo… Mas Cristine wine was already a well established brand when British wine importer Andy Cook took it over in 2006 with two French partners, Julien Grill and Philippe Gard. They quickly grew too big for the original Mas Cristine wine domaine and battled their way through 5 frustrating years of thorny French admin and planning permissions to build their fresh and contemporary winery at the edge of Saint André. It’s just the beginning. Andy’s vision of a ‘dégustation’ is refreshing. “The tasting is important, and of course we want to sell our wine, (Mas Cristine offers a free bottle of wine to P-O Life readers who spend 30€ or more) but a visit to a winery should be part of a whole experience. 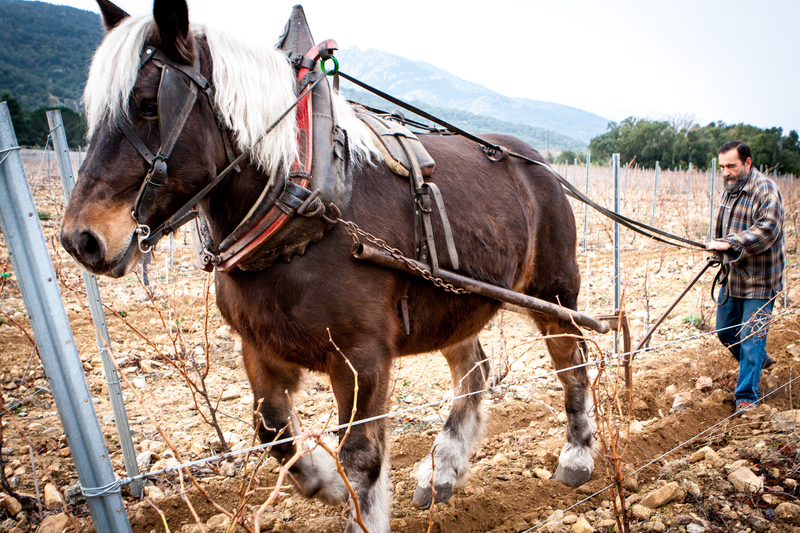 ”Good atmosphere, a chance to chat about the wines…..
Mas Cristine vineyards, mostly planted on schist terraces up on the slopes overlooking Collioure, are so steep that cultivation and harvesting has to be done by hand. This involves pickers who pick and porteurs who ‘porte’ in baskets on their backs. “Picking does your back in and carrying does your legs in” Andy tells me – a useful tip for those considering a bit of grape picking in their spare time. Oh – and let’s not forget Titan! At 700 kilos, this semi retired and much loved horse helps to ensure that the vendange plods along nicely – and that’s straight from the horse’s mouth! Andy’s wife, artist Kirstin Mackintosh, also helps out with the wine – by painting it! Her fabulous paintings and portraits are on display around the winery. Andy’s close friend and assistant wine maker, Richard Bray, has written a book about an insider’s look at what really goes on at harvest time, Mas Cristine, Andy, wine picking, making and drinking in the Roussillon. It is random, honest and endearing. “This isn’t a wine book, not really. It has quite a lot of wine in it, both made and drunk. It has some vinous vocabulary……, But the intent is not to teach you everything about wine in the Roussillon, Collioure and Banyuls. Wine, claims Richard, is a happy accident. Its journey from vine to bottle is fraught, and involves lots of human, fallible people. Men and women who’ve been picking grapes since six in the morning, or working the press since six-thirty; people who get hurt, who sweat, who bleed, who don’t finish until late and need a beer at the end of the day; winemakers who started off as blues guitarists, and octogenarian Catalan farmers who hand-cut grapes faster than their grandchildren. 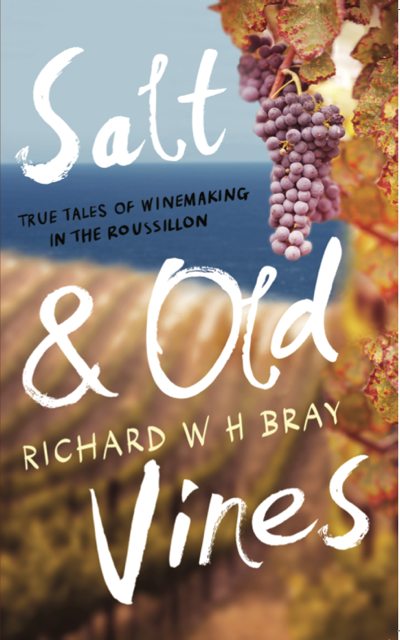 Salt and Old Vines is the story of wine, a portrait of some of its people, and a biography of the place it comes from, inspired by his own experience in the Roussillon. Buy it at Mas Cristine, on Amazon or Google the publisher, Unbound.